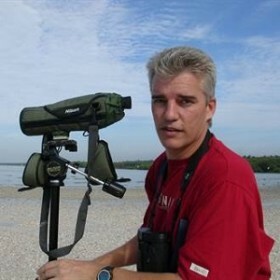 John Howes was born in Wales, UK, and first came to Asia in 1984, as part of a University of East Anglia (UEA) scientific expedition to survey and study Milky Stork populations in west Java, Indonesia. Immediately following the expedition he helped to establish the fledgling INTERWADER programme based in Kuala Lumpur, Malaysia – and since then has been living more or less full time in Malaysia, and since 2009 in Port Dickson, Negeri Sembilan. By the late 1980s INTERWADER had grown from a migratory shorebird conservation project into the fully-fledged Asian Wetland Bureau, and by 1995 had become Wetlands International-Asia Pacific. Having obtained a First Class Honours in Ecology at UEA John established himself with the organisation, first as a Scientific Officer and Regional Training Co-ordinator, and later as a Senior Technical Officer. During that time he developed, implemented and managed more than 50 projects in 10 countries throughout the region. In between stints with AWB and Wetlands International, John also worked as the CITES Review Co-ordinator for the Species Survival Commission (SSC) of IUCN-The World Conservation Union, and as a Senior Ecologist with ECON Ecological Consultants at the University of East Anglia. After 15 years of working in the conservation NGO and private consultancy sectors, in 1998 John became a freelance Environmental Consultant. Since that time he has retained a position as an Associate Expert with Wetlands International, as well as undertaking independent contracts for a range of Government, NGO and multilateral clients. He is also a member of the Board of Advisors of Wild Asia – an environmental / social enterprise working towards environmental sustainability in the tourism, plantation and forestry sectors throughout SE Asia. As a conservationist and ecologist John is interested in most things to do with people and the natural World. Whilst his particular passion is birding, at times he finds himself also drawn to tropical forests, dragonflies, mountains, central Asia, mangrove and peat swamp forests. He is married to a Malaysian (Ting) and has a ten year old son (Bryn Chen Ann), and a 3 year old daughter (Lisa Chen Yu).